On the eve of the annual meeting of members FISA, our experts have become a tradition to conduct regular test AV-receiver Pioneer. So it will be this time: First, utility undertakings should be maintained, secondly, represented on the test model belongs to the new line. What surprises gave us the famous Japanese brand? When a company begins to produce a whole family of new products, the first candidate to test, we choose the principle of “golden mean” – prefer the device occupies an intermediate position between the base and the flagship, since this machine usually shows the best ratio quality / price. 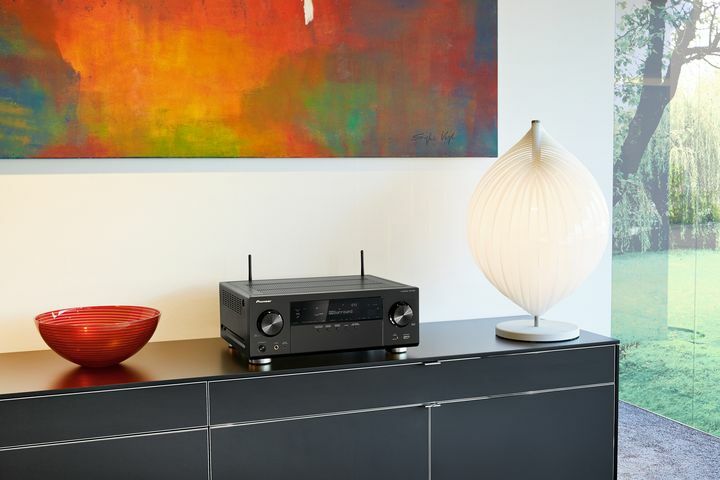 In this case, the choice was obvious: the new line of three models – in addition to the test, there is a younger AV-receiver Pioneer VSX-830 and VSX-1130 senior. So, we, figuratively speaking, the middle brother in the family of receivers. He is a direct descendant of last year’s the AV-receiver Pioneer VSX-924, which received the title of “Product of the Year” by EISA, ie the most prestigious European award AV-that you will agree, a great responsibility. Apparently, so designers did not take risks while maintaining the facade without any configuration changes. Identical in size rotary switches (left allows you to select the input, right – change the volume) are located on both sides of the central cover, which strip is anodized buttons, matches, providing access to the settings of the tuner and multizone mode divides a zone display (three-line fluorescent display above) and additional control. The latter is formed by five circular buttons which, among other things, are responsible for the choice of the surround mode and switches to work with iOS-gadget. To front HDMI input through a special adapter can be connected iPhone / iPad and transfer video from the gadget to the monitor connected to the receiver. 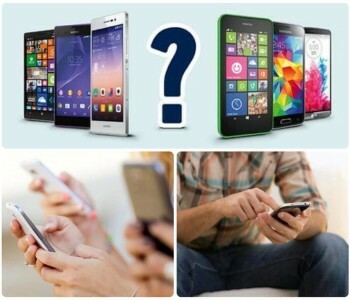 It would not be in this sense, the problems and the owners of Android devices – HDMI port 6 on the rear panel is compatible with the protocol MHL (previously this feature had a front connector, but it turned out to be impractical – it is better one time to connect smartphones cable behind. It does not spoil the interior than to take out after each session, so do not look offended hanging on the front of the receiver’s “spaghetti”). Near the front entrance is HDMI-USB-port capable of working not only with the stick but also with the HDD (power bus provides a current of 1 A). 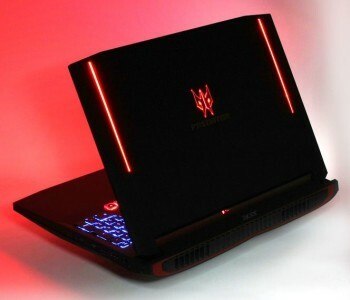 Just like the previous model? Not really. There are differences; they do not catch the eye, but extremely revealing. The AV-receiver Pioneer of the extreme right of the display LED signals is not connected to the iPhone and a wireless mode. 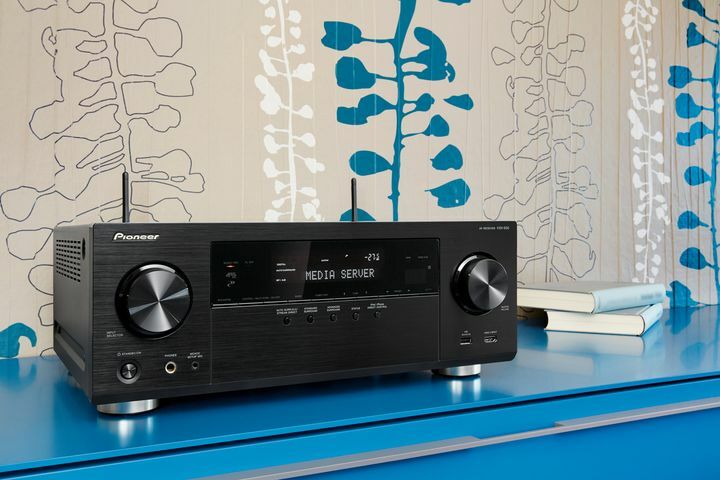 The fact that the AV-receiver Pioneer 930-th module is equipped with both Bluetooth (their predecessor), and the unit Dual Band Wi-Fi, enabling over the air to make streaming audio server located in a local network. On the rear panel handed down the 6 HDMI inputs and two outputs. Of course, provided the port LAN. Jack corporate Wi-Fi-adapter disappeared, because, as we have already noted, the corresponding block is integrated into the receiver (this is indirect evidence of the two Wi-Fi-antennas placed on the flanks of the zone switching). You can connect the source of electrical or optical audio, three machine outputs analog stereo (ability to work in a second zone of the novelty is not) and one component video (the previous model had two of the entrance). Component output is not available since the corresponding signal is converted into a “figure” and is displayed on HDMI-out. 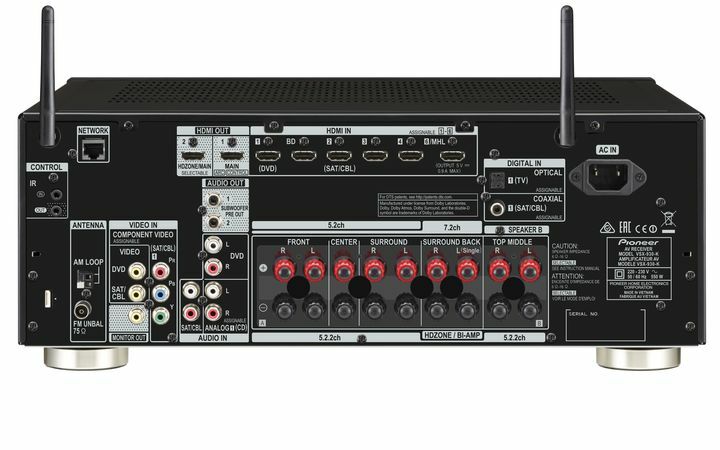 The receiver is still in agreement with the two active subwoofers and hassle-free set in a closed rack (There are external IR sensor), but do not expect to fit it into a multi-system controlled by a computer or on / off control of other devices – socket RS-232 and relay signal ’12 no. However, the unit price range for up to 60 000 rubles is quite natural. Do not be surprised, and that the presence of Speaker terminals for speakers Top Mode receiver equipment) van seven channels of amplification. In other words, you have to choose between the speakers Thor Mode and Surround Back. You can also organize the 5.2-cinema, and the remaining two channels are used for the scoring of the second zone or connect the front speakers on the scheme bi-amping. Amplification path inherited from its predecessor. It is digital; working in class D, amplifiers have a high efficiency (power consumption under a load of all channels does not exceed 550 watts). For the DSP-processing meet high processor from Texas Instruments and the ADC 24/96. DAC ESS SABRE Premier has the dimensions of 24-bit / 192 kHz, which in combination with asynchronous USB port allows the computer on which the proprietary driver, play files WAV, FLAC or AIFF resolution up to 24/192, as well as multi-channel (5.0 / 5.1 ) record WAV and FLAC. Read even DSD-files with the frequency 2.8 / 5.6 MHz. But most importantly – played soundtracks encoded Dolby Atmos (DA), and columns Top Mode get a real signal from a designated in the DA-flow paths. Supported DLNA, which allows the receiver to enter into a local network. Not forgotten and the full video processor. He is able to bring the input signal not only to become the familiar level of 1080 but even before 4Q 50/60. Of course, from an external source on the monitor freely transmitted video resolutions up to 4K Ultra HD 60p. 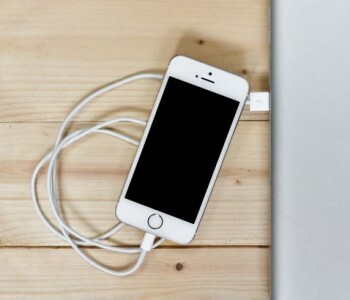 The receiver is compatible with wireless technology audio playback via the mobile gadgets to access your iTunes library or Sportify – AirPlay (for i-devices) and HTC Connect (for Android gadgets company NTS). 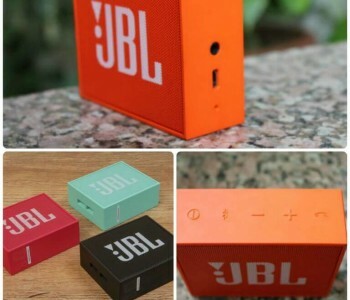 Built-in Bluetooth-module can accept files encoded with the latest codec aptX. You can control the interface HDMI (for example, when you turn off the TV can be switched off and the receiver). Supports Audio Return Channel ARC (for HDMI-cable connecting the TV to the receiver is transmitted to the last sound broadcast viewing). Automatically is the best option playback of compressed audio and video files (Mode Sound Retriever Link and Stream Smoother Link, respectively). When you work with a compatible player activated technology PQLS, contributing to a reduction of jitter (digital circuits both components synchronized clock generator receiver). AM / FM-tuner RDS-reproduces data; internet connection gives you access to thousands of radio stations via the service vTuner. Auto Calibration System MCACC PRO newest generation takes into account not only features the speakers (including equipped with additional “top” speakers for a full soundtrack playback Dolby Atmos), but the room itself (this takes into account the difference in signal phase front and rear speakers) . The receiver is equipped with a full-featured remote control, but if you have an iPhone or Android-powered device, it immediately sets the application iControlAV5 – one of the best with what had to deal with our experts. Appreciation is due not only to provide access to virtually all modes and functions but also with the quality of design (a magnificent three-dimensional graphics, full of intuitive). Finally, there is an extremely interesting feature AVNavigator, allows you to customize the receiver from a computer (remotely) or iOS / Android gadgets. Theatrical talents device tested using miraculously got in our lab Blu-ROM Transformers. The era of destruction with the sound of Dolby Atmos. Special speakers equipped with speakers directed at the ceiling, at hand was not, had to install a small speaker on the music center on top of the editorial floor speakers, but this improvised set revealed the obvious advantages of the new audio format and a great desire to AV-receiver Pioneer to implement them. We will not exaggerate: when viewing large-scale scenes (the film abounds with them – choose any) vertical moving objects are not always clearly monitored (perhaps needed more fine-tuning of the system), but the effect of presence is stronger than on the track with a “normal” soundtrack. The quality of work AV-receiver Pioneer with any stereo device is not inferior to its predecessor. 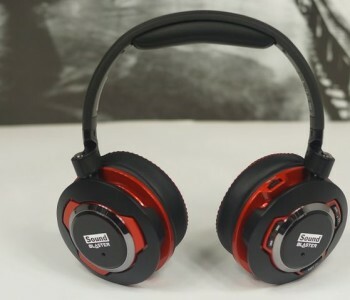 High-frequency sound somewhat softer than in the multi-mode, with the construction of a broad and rich sound stage no problem. Perfectly conveys vocals, the bass is firm and well-managed. The result is a two-channel signal degradation seven speakers by using Extended Surround mode is interesting, but it is unlikely the regime will become your primary. If you do not stint on the Dolby Atmos-certified speakers, and not too lazy to fine tune their (valuable assistance will auto-calibration system MCACC PRO), the viewing DA-soundtracks will be unforgettable. It is hoped that the number of discs with the corresponding movie will grow.